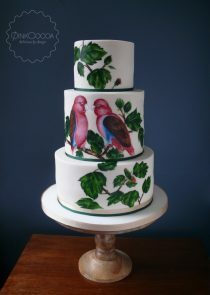 Three tiers of lusious red velvet sponge cake were inside this buttercream covered wedding cake. 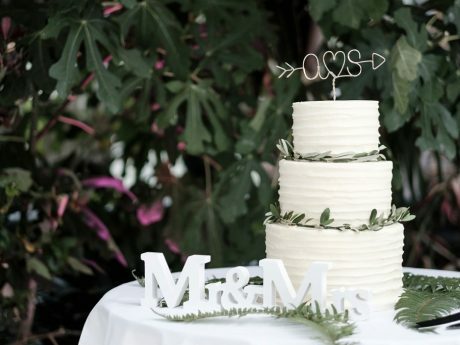 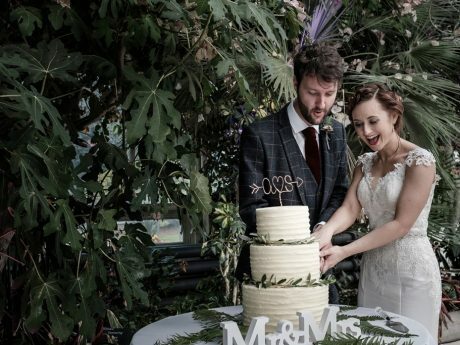 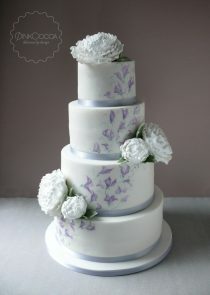 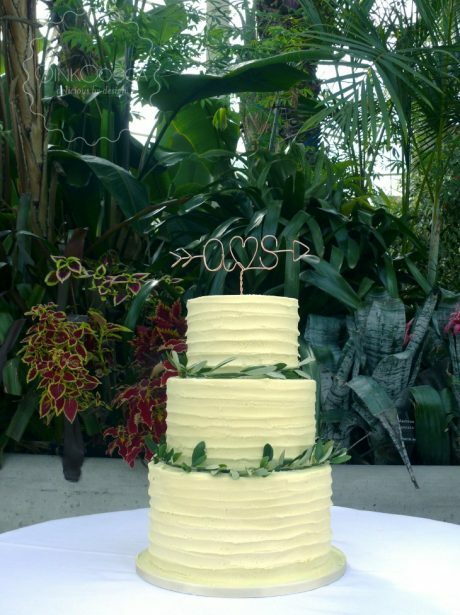 The cake was decorated simply with leaves from Living Colour Flowers and the topper was from Etsy. 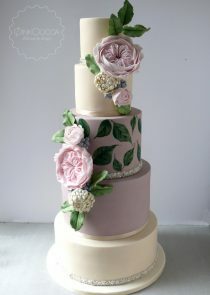 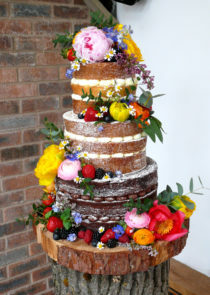 Spring flowers ‘naked’ wedding cake.